Transylvania include central Romania, Transylvania’s hollow and that Carpathian slopes that bowed to it. Transylvania is by far the most romantic Romanian province. Mountains laced by time, cold streams, crystalline, dense and shady woods, wooden churches, legendary castles, memories of an eventful history. Here you can find many interesting places: winter sports resorts and treatment, paths for hiking and biking in the mountains and in their national and natural parks, fascinating medieval towns, art museums and quality guesthouses. In this trail we will cross 7 mountains up then 1800m. Transfer in the middle of Transylvania – Brașov, Zărnești town. Accommodation to a local guesthouse. Transfer to Câmpulung – Lerești (3 hours). Here is the the point of our departure to Iezer mountain (2462m) . Iezer Mountain is between the upper courses of the Dâmbovița River and Doamnei River, who delineates the north, north-west and west to the high peaks of the Făgăraș mountains, and from east to Piatra Craiului Mountains. A large crown of barren hills and high, sometimes higher than 2300-2400m altitude, is harmonious around one of the main water courses, river Târgului, resting on two strong pillars-vf.Iezerul Mare, 2462m and vf.Păpușa, the 2391m, whose rise up the mountain complex called Iezer mountains. This trail takes for a medium level around 8 hours. Accommodation to a local guesthouse. Transfer to Curtea de Argeș one of the oldest cities in our country. Here we can visit the famous monastery Curtea de Argeș with her famous Manole’s legend, Poenari Fortress (built in the time of Vlad Țepeș) and also an important touristic attraction Vidraru Lake and Vidraru Dam, which is one of the greatest in Europe. Then we will fallow the Transfăgărășan 96 km a road that passes through Făgăraș Mountains (the highest mountains in Romania – Moldoveanu peak – 2544 meters) and that connects Walachia and Transylvania. Transfăgărășan is the road that climbs to the highest altitude in Romania, 2042 meters, in the Glacial Hollow Bâlea. Bâlea Waterfall, located in Făgăraș Mountains, is one of the most famous waterfalls in Romania, is at an altitude of 1234 meters and the water falls from 68 meters. Bâlea Glacial Lake is a real monument of nature (formed in a glacial circus) situated at 2034 meters of altitude. Since 1932, the lake and about 180 hectare of land around it were declared scientific reservation. It must also be mentioned the fact that the first ice hotel in Eastern Europe was built near the lake in 2006. Accommodation in a cosy guesthouse. Transfer to Râșnov. It is located at about 15 km from the city of Brașov and about the same distance from Bran, on the road that links Wallachia and Transylvania. In Râșnov a fortress was built around the year 1215 by the Teutonic Knights. The citadel was conquered only once in its history, around the year 1600. A famous well still sits in the centre of Râşnov Fortress, and is 143 meters deep. From here we will depart on a long uphill through the forest and meadows with narrow paths until to Poiana Brașov – the most important ski resort from country. We will follow a road to the Postăvaru peak (or we will take the cable car) and enjoy the picnic to Postăvaru chalet. Long descending through forest to Brașov. Accommodation in a good hotel in Brașov. Brașov city tour. The old town is full of history, very well preserved and the modern part has a particular charm. 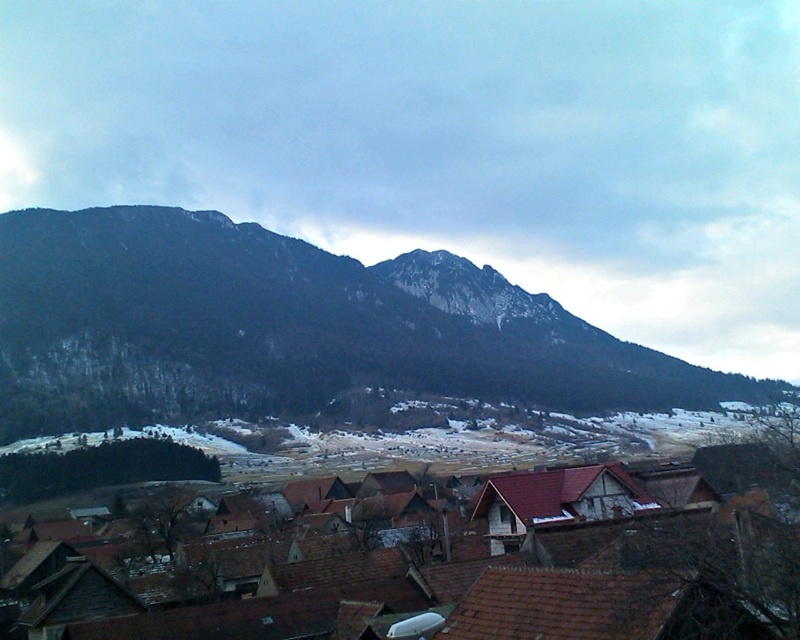 Transfer to Bușteni, a mountain village situated near Baiului mountain. We will climb this interesting and wild mountains more like hills, from where we have a beautiful views on impressive slopes of Bucegi mountain with Caraiman lighted cross. Walking all the rounded ridge and in the last part we'll descend to Sinaia on the edge of Bucegi mountain. Accommodation in New Aosta Garden guesthouse. Visit the Peleș Castle, the summer residence of Romanian royalty, which was built during the rule of Carol I (1866-1914) and it is an important national monument of XIX century Europe. Several other buildings, annexed to the castle, were built simultaneously: Pelidor Castle, The Guard's Chambers, The Economat, The Foișor Hunting House, The Stables, the Electrical Power Plant and the "Șipot" villa. From Sinaia we will climb to the 2000 m area on a ski slope (or by cable car). Our goal is to cross this spectacular mountain's plateau, so we will follow a path who goes down near the Bolboci lake to Peștera. Here we visit a monastery built in an amazing place and we can visit an impressive cave. Accommodation far away from civilization, in a mountain chalet. We start the day with an uphill in a saddle till 1900m and now we are in Leaota mountain-the Bucegi brother. We will cross a long , narrow and wild ridge and on the last part of this day we have a long descending path (1000m-) to Moieciu de Sus where we'll overnight. The last day… we cross the Bran Country (visit the Bran Castle) and after then a short uphill to Măgura, a small, remote mountain village. We'll walk up almost 700 m + through the Jurassic canyon “Prăpăstiile Zărneștiului” till 1500m high, to Curmătura chalet, an important point of departure in the Piatra Craiului trekking trails. Picnic lunch and we'll cross the ridge of the Piatra Craiului mountain from east to west, a famous crossing in our country. Accommodation in Zărnești village. Price for 6 person group, 850 euro/person. This price includes: half-board accommodation + picnic lunch, guided tour, transfer between days, luggage transfer, transfer from airportand back, Sponser bar and drinks, T-shirt.